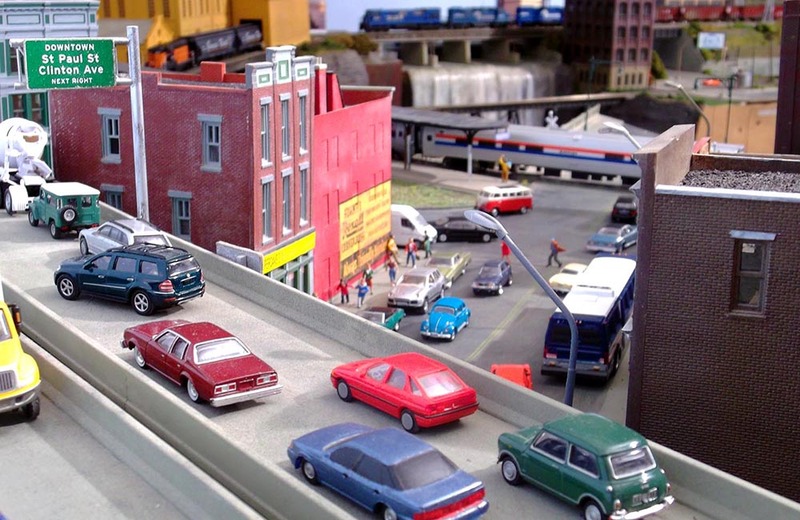 The world of toy trains and model railroads is vast and sometimes complex. 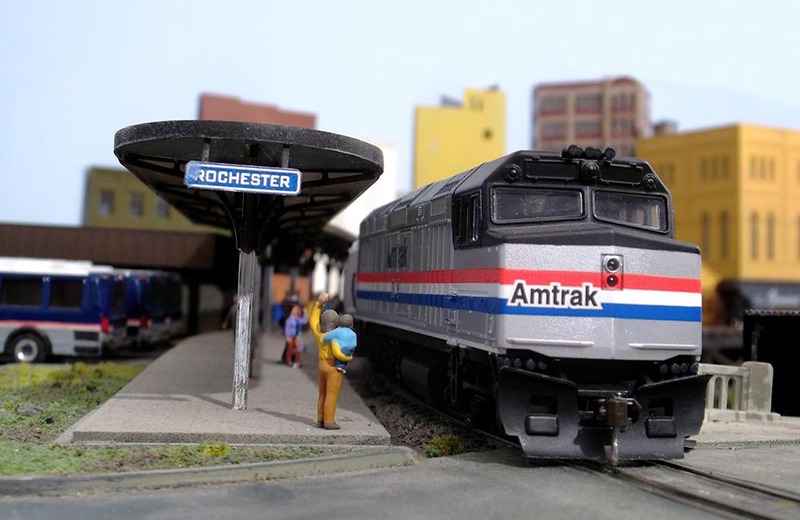 For model train enthusiasts, starting a collection and acquiring new items can be tricky – and expensive – unless you know where to go and what to look for. That’s where connecting with an enthusiast like Otto Vondrak can be rewarding. 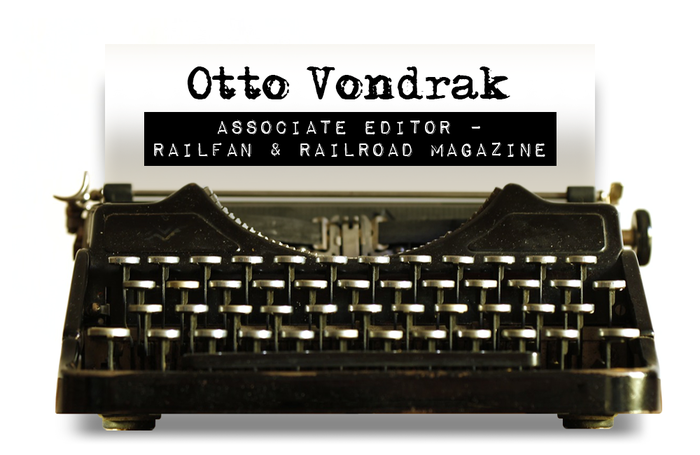 Otto is the associate editor of Railfan & Railroad Magazine and a co-founder of the Rochester Institute of Technology Model Railroad Club. Over his years of collecting, he’s gained an astounding level of knowledge which he loves to share with other collectors. I asked Otto to breakdown the basics of models trains and invited him to share some advice with new collectors. 1. From a collector’s standpoint, what are the most sought-after train sets and why? There continues to be a strong collector’s market for Lionel train sets, especially the prewar and postwar products. The colorful 1935 “Blue Comet” set from Lionel’s prewar line still commands a high price. The five-car set was of all-metal construction, and complete sets today can fetch upwards of $10,000 in excellent condition. The quirky “Girl’s Train” set of pink and pastel colored trains was a huge marketing flop from the mid-’50s, but its failure is probably why it remains a popular collector’s item. It turns out girls wanted to play with the same trains the boys had! There’s even an emerging market for collectors of the often crude and garish Tyco, Cox, and AHM toy trains from the 1970s and 1980s. 2. Model trains come in various sizes. Has the popularity of the preferred size changed over the years? A wider variety of toy trains has developed over the years due to the growth in the market and improvements in manufacturing. It was common for people to set up their electric train sets on the living room floor because that’s how much space a loop of track would take up! The early models issued by Lionel in their “Standard Gauge” line was downright huge. Other toy makers made their trains to their own scale and specification, and there was no compatibility between them. Those looking to build model railroads that replicate the real world tend to favor the smaller scales because it is easier to fit a realistic track plan into the average home basement or spare bedroom. Others prefer the larger scales because the bigger models allow hobbyists to show of a greater amount of detail. By 1939, Lionel had adopted “O Scale” (1:48), and a secondary market followed suit to augment its line with structures, accessories, and compatible trains. American Flyer built its trains to a slightly smaller “S Scale” (1:64), but many preferred the look of their two-rail track versus Lionel’s three-rail system. “HO Scale” trains (1:87) were introduced in Europe as early as the 1930s, but didn’t really catch on in America until after the war. The smaller scale trains were popular because they took up half the space of Lionel trains, which was important as more and more Americans found themselves living in apartments and smaller houses in the postwar economy. “N Scale” (1:60) trains appeared in the 1960s, though many dismissed the early models for their crude construction and details. The smallest practical scale for model trains is “Z Scale” (1:220), introduced in 1972 by German toy train manufacturer Märklin. 3. What advice would you give to someone who is just starting to put together a collection of model trains? I always tell newcomers to just buy what you like and don’t worry about who you might impress or offend. Your first step would be to locate a hobby shop that specializes in trains. The people who work there can help steer you in the right direction. Also, search the internet for train shows in your area. 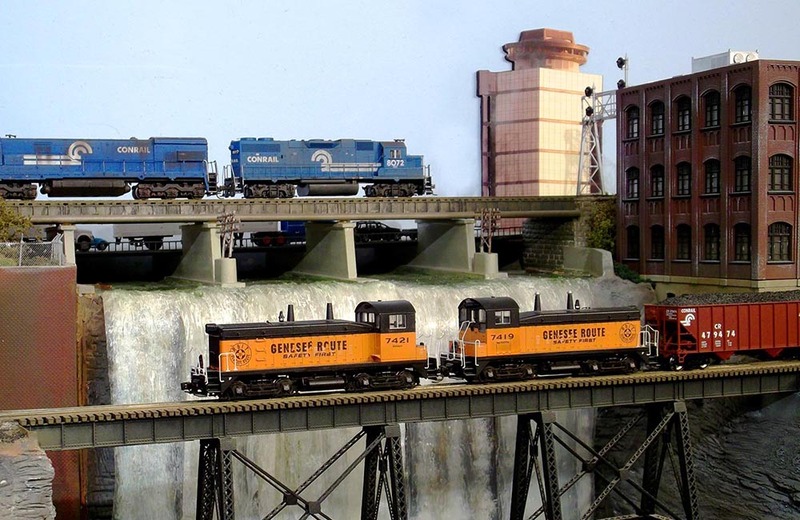 These exhibitions usually feature dozens of vendors selling new and used trains as well as detailed model railroad displays that are sure to give you some ideas. Don’t be afraid to take your trains off the shelf and have fun with them! If you don’t have room to set up your trains at home, try looking for a model train club you could join. Also, try to read up as much as you can. There are many great books and magazines specifically about toy trains and model railroading available today, geared to the novice and veteran alike. 4. Lionel Corporation was a historic leader in the toy train industry. Who is producing quality toy trains now? Building on the legacy of the century-old Lionel Corporation, there are many toy train manufacturers serving many different segments of the American market. Among those making “Lionel-style” toy trains today are MTH Electric Trains, K-Line, and Williams. European manufacturers like Marklin, Hornby, and Fleischmann do not make much effort to market their trains in the United States, but they also have their own die-hard fans who appreciate models of foreign trains. For the scale enthusiast, American manufacturers like Atlas, Bachmann, and Athearn are the largest producers. Imported models from the Kato line of Japan were once popular for their fine detail and solid running qualities, but other companies have now caught up and offer comparable products. As the hobbyist becomes more savvy and the industry demonstrates its ability to produce quality models, the offerings are staggering. The model train industry is so diverse today, if you can think of it, there’s probably a model being made of it in some scale. 5. Your fondness for model trains evolved into an interest in real trains. What’s the lasting appeal of trains? My interest in trains developed from an early age when I would accompany my dad to work in New York City. We rode the trains and subways together often. When I was five, he gave me a Lionel train set for my birthday and it’s been a life-long love affair ever since. Over the years, I’ve been able to turn my favorite hobby into a successful publishing career. Even though the real railroads have retreated from the public eye over the last two generations, I think they still hold a great appeal. Who hasn’t crossed a train track somewhere and wondered where the rails end? Who hasn’t been impressed by the shear display of brute force as modern high-horsepower locomotives hustle a mile-long freight across the country? Who hasn’t been tempted to take a cross-country train trip and enjoy the adventure of a lifetime? Trains represent a part of our collective consciousness that yearns for adventure, no matter if it’s an ancient steam engine, a modern diesel, or some futuristic design. 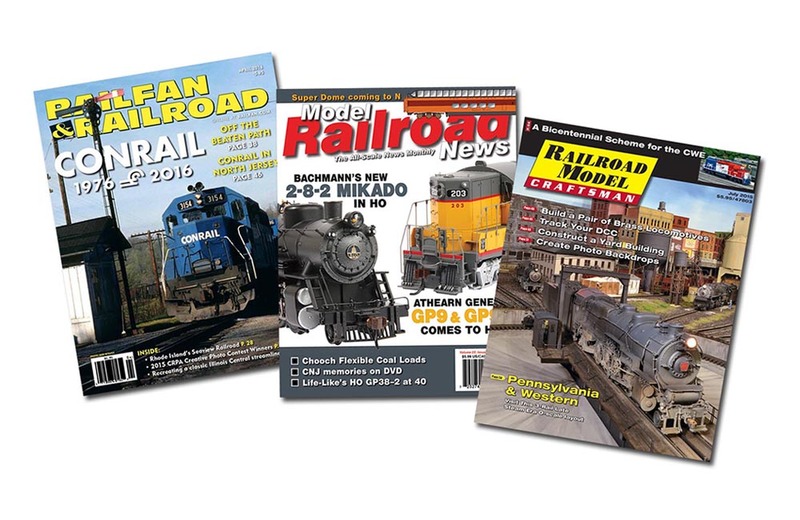 You can find Railfan & Railroad Magazine online. The same company also publishes Model Railroad News and Railroad Model Craftsman. Discoloured Stormtroopers getting you down? Toy-restoration enthusiast Dave, founder of Toy Polloi, shares his experience and has wise advice for toy-restoration newbies. Filmmaker Yaron Betan's Heroes Manufactured gives a documentary-style glimpse into what it takes to be a Canadian comic book artist or writer. Hint: it ain't easy. Here, we talk to Betan about the film, the industry, and some of his favourite comic artists.